One in three dollars spent in the U.S. is spent online. In the eCommerce space, Amazon dominates with a 49% market share, or a 5% share of all retail. That’s huge for just one company. Amazon has strategically inserted itself into shoppers’ lives, which gives you a great opportunity to sell your services through this trusted platform. But what happens after you list a product on Amazon? What happens if, instead of seeing dollar signs, you’re hearing crickets? Amazon offers sellers the opportunity to increase sales with the Amazon Ads platform. Access Amazon’s millions of shoppers for just pennies for each click, preserving your budget while moving more inventory. Learn more about Amazon’s PPC platform and how it can grow your brand. Amazon Ads is Amazon’s equivalent to Google Ads, although Amazon’s offerings are product-focused. When a customer searches for a certain item on Amazon, they see a list of sponsored products in the search page, which are labeled as “sponsored” results. These are paid ads from other sellers like you. On the advertiser side, Amazon is like a huge, instantaneous online auction. You bid a certain amount on these keywords that users are searching for. If you have the highest bid, Amazon displays your ad first. Keep in mind that the bid is only one facet of winning an auction. Amazon has mentioned that keyword targeting, bid, product relevance, ad quality, and click-through rate influence your ad’s position, too. The sweet spot for Amazon Ads is to create an effective campaign that gives customers what they want. Even if you have a huge budget, you won’t do well unless you have an amazing ad and quality experience. You only pay that bid if the user clicks on your ad and visits your product page. However, this doesn’t guarantee that someone will buy your product. Amazon Ads only brings users to your product page; from there, it’s up to your product page to sell the item. Amazon Ads are a fantastic and cost-effective method to get more visibility on your products. If you set up a successful campaign based on best practices, PPC can help you reach millions of shoppers to move more product. When it’s time to design your Amazon Ads campaign, you’ll be able to choose from three types of campaigns. Sponsored Product Ads are the most popular option. These ads appear above the organic results on the Amazon product search page. Sponsored Product Ads drive customers directly to your product page on Amazon, where they can learn about your product. Product Display Ads appear on a product detail page. These are great ads if you want to show up on a competitor’s page, or if you’re trying to cross-sell with a complementary product. Product Display Ads are different than the other ad types. Instead of targeting users by keyword, they target people by interests. If you know your customers but aren’t sure about keywords yet, this could be a good option. Headline Search Ads appear above Sponsored Product Listings. They’re great for finding customers and teaching them more about your brand. Many advertisers drive traffic from Headline Search Ads to a branded product page with more detail. To start your Amazon Ads campaign, you’ll first need to become an Amazon seller. Next, you can set up your advertising account. Why opt for Amazon Ads in the first place? Most marketers who have a PPC strategy choose to advertise on either social media or Google; not everyone is on Amazon. The thing is, if you sell products online, Amazon should be in your PPC repertoire. Amazon Ads give small businesses the chance to get a product in front of millions of people, even with a limited budget. Speaking of budget, the average CPC on Amazon is 96 cents as of February 2019, which is lower than many advertising platforms. Amazon Ads are powerful for improving your organic position in Amazon search, too. This just makes sense: with more traffic going to the product and more purchases, Amazon is more likely to display your product higher because it’s more relevant. If you want to preserve your budget and get more product sales, Amazon is right for you. While Amazon Ads optimization can be complex, there are a few ways you can set your campaigns up for success. Follow these three cardinal rules to get the most return on your advertising investment. When you sign up for Amazon Ads, you’re directing traffic to your product listings. Are your product listings compelling enough to drive people to buy? If not, you’re wasting critical ad spend. This is the most critical place for you to influence potential customers. Make information-packed product listings that highlight your product’s benefits. Include plenty of pictures from all angles of the product. Feature the item on a simple white background, as well as what it looks like in use. Consider including a video about the product with installation instructions. Amazon is still a search engine. That’s why you have to use keywords in both your organic and PPC strategies to make the most of your campaign. Don’t be afraid to use negative keywords in Amazon Ads. This is great for avoiding customers that don’t fit your profile. For example, if you’re a luxury brand, you might use the negative keyword “cheap” to avoid bargain-seeking shoppers. Be careful with keyword match types, too. Avoid broad match if you can, since it pulls in more irrelevant clicks. Phrase and exact match may bring in fewer clicks, but they’ll be more high quality. If you use Google Ads, you know that campaign structure is important. Amazon Ads is no different. Create a campaign for each separate type of product. For example, a bakery would list cookies as one campaign and cupcakes as another campaign. Within each campaign, build ad groups of different product types within that category. For example, the cookie campaign would have ad groups for chocolate chip cookies, sugar cookies, etc. It may sound complex to have so many ad groups, but this ensures that your keyword targeting is incredibly specific and relevant to what you’re selling. If you want more eyeballs on your product, specificity is key. Don’t be afraid to get granular. As an eCommerce brand, you can’t pass up the chance to sell more product for minimal investment. Amazon is a profitable avenue for eCommerce sales thanks to its treasure trove of buyer data. 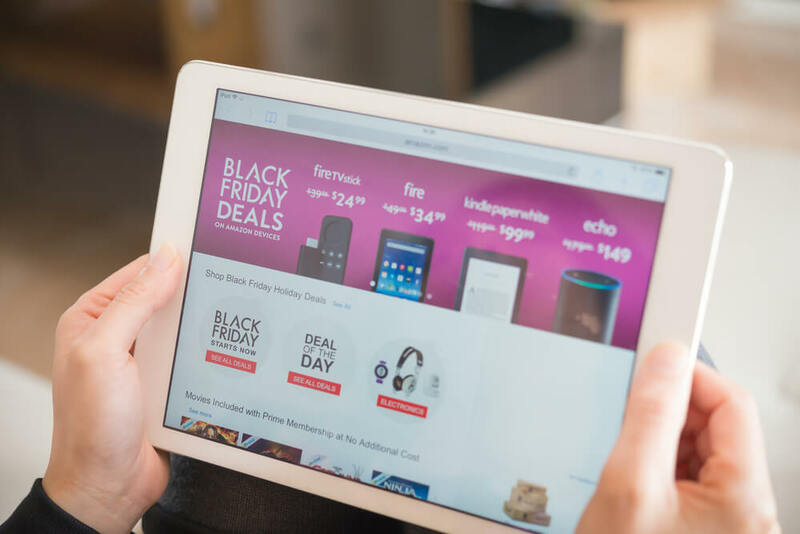 Whether you’re on Amazon now or not, Amazon Ads have the power to jettison your product from unknown to a household name in a matter of weeks. Want to get started on Amazon but aren’t sure where to start? Logical Media Group’s Amazon specialists have years of experience optimizing Amazon Ads campaigns. Give us a ring now to chat about your business goals.